I had heard that the next episode of Steven Moffat and Mark Gatiss‘ Sherlock was going to be a Christmas special. I’d initially been led to believe that it would air in 2014, though I obviously started to doubt that quite quickly when Martin Freeman and Benedict Cumberbatch filled out their calendars with other gigs. But Freeman has now told The Telegraph that we can expect this one-off episode at the end of 2015 instead. I’m speaking off-message here; if this was New Labour I’d get fired – I think that might be for next Christmas. A Christmas special. That’s what I understand. As for what this special might be about… well, I refer you to a tweet I made when the last episode aired. There’s something the fandom really wants to know about the BBC’s Sherlock. There was a plain-sight clue to the answer in tonight’s episode. Knowing what I knew about plans for a Christmas special, it seemed pretty conspicuous to me how it was going to connect, in the broadest sense at least, to His Last Vow the story we’d just seen. indicating that a full-blown series is unlikely. Freeman wasn’t necessarily saying a fourth series is unlikely forever, just as the next move. 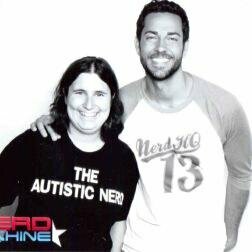 I know a lot of people collect the Comic-Con shirts and with the ability to pre-order, it gets it a little easier every year. Just remember, you have to be attending Comic-Con! There is no mailing of the shirts! This year there are three different designs! The Caped Crusader on a dark and stormy night, by Jim Lee with color by Alex Sinclair, on a navy blue T-shirt, celebrates Batman’s 75th anniversary. 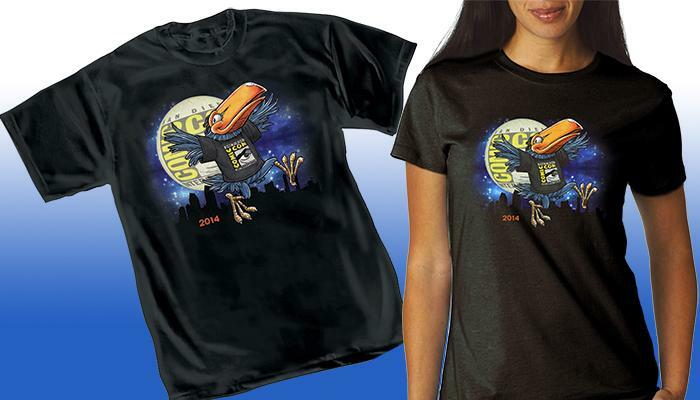 This year’s great Toucan T-shirt, with art by Rick Geary, saluting the OFFICIAL SDCC Blog! 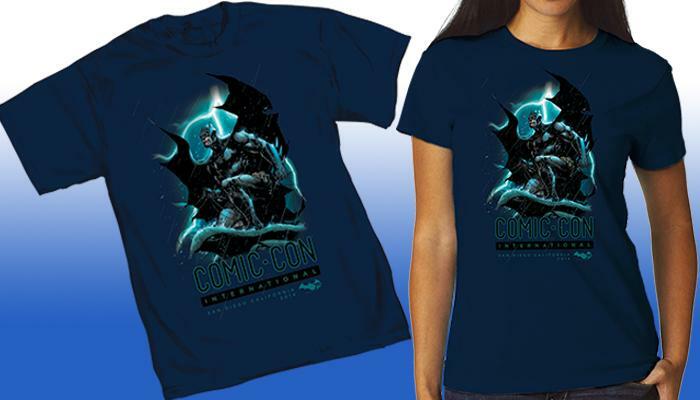 This year’s Comic-Con logo T-shirt imprinted on a black shirt in men’s, women’s, and youth sizes. In addition, there’s a pale pink version for women! Along with the shirts you see above, you can check out two new shirts! The Comics Arts Conference is a SDCC staple: a 4-day track of programs devoted to the scholarly examination of comics. 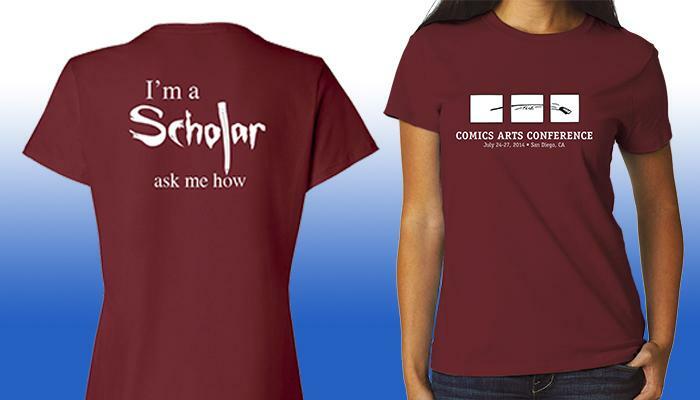 Show your support with this great maroon T-shirt, that reads, “I’m a Scholar, ask me how” on the back with the CAC logo on the front. 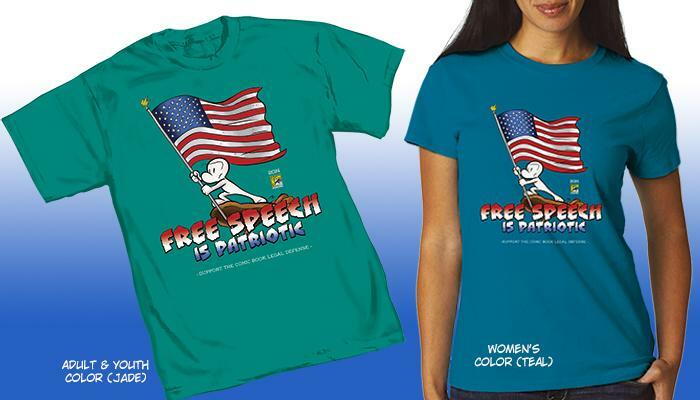 Show your support for the CBLDF with this T-shirt featuring Jeff Smith’s BONE character, available on a jade shirt in men’s and youth sizes, and teal in women’s style. And now onto the guidelines for ordering and picking up! Pick-up for pre-ordered T-shirts will be in the Santa Rosa Room at the Marriott Marquis and Marina Hotel. The Marriott Marquis is located adjacent to the Hall A side of the San Diego Convention Center. The Santa Rosa Room is located off the walkway between the Convention Center and the Marriott Marquis Hotel’s South Tower, next to the escalator to the hotel lobby. Come out of the Convention Center at Hall A and take the first left to walk back between the center and the hotel. COMIC-CON MERCH IS OPEN EARLY ON PREVIEW NIGHT FOR PICK-UP ONLY! PLEASE PRINT YOUR RECEIPT AND BRING IT WITH YOU, ALONG WITH A PHOTO ID! The mobile networks are very busy during Comic-Con and may not be reliable for pulling up your receipt onsite on your phone or mobile device. The store will reopen on Wed., from 6:00–9:00 PM for pick-up and onsite sales (where available) for people with Comic-Con 2014 badges only. * YOU MUST PICK UP YOUR SHIRT BEFORE SUNDAY, JULY 27, AT 3:00 PM (NOON). The shirt style and size you ordered will be reserved for you, so you don’t need to wait in line prior to the opening of the show. Please enjoy Comic-Con International 2014 and pick up your guaranteed shirt at your convenience. You will need your PRINTED receipt, along with your driver’s license or another form of legitimate photo ID to pick up your shirt(s). If you’re ready to order, just go here where you can find info on sizes as well. Remember, you must be attending San Diego Comic-Con! Here is the biggest announcement following on previous weeks of big announcements, and one that we’ve all been waiting for in the lead up to SDCC this year–just what Doctor Who items Titan Merchandise will be rolling out as exclusives and debuts, and it’s a massive line up. From a 9″ vinyl figure, to 6″ figure, a 3″ exclusive, a new collection of 3″ blindboxes, and a new T-shirt “costume”, they’ve really outdone themselves for collectors this time. All I can say about that is “My God”. It wouldn’t have occurred to me to produce “The Beast” from the Tenth Doctor’s exploration of “The Satan Pit” as a TITAN, but it should have. This may be one of the coolest TITANS yet, and certainly the most terrifying. This features the Eleventh Doctor, his companions, and several of his most memorable foes. The “Whisperman” is just chilling, and “Wooden Cyberman”? I really do give Titan props for creativity in their choices–this makes for a very satisfying and wide-ranging selection. Avengers 2 Cast Is Coming to Comic-Con! Everyone! Hurry! Get to the Hall H line! In an interview with Collider, Mark Ruffalo confirmed that the cast will indeed be hitting up Hall H again this year. While talking to Ruffalo about his upcoming release, Begin Again, he revealed that The Avengers are flying from set in London to San Diego for Comic Con, and also discussed the possibility of a standalone Hulk movie, the elements of the character he’d like that movie to explore and much more. Catch it all after the jump. This shouldn’t be a surprise to anyone. Marvel always has a strong San Diego Comic-Con presence not to mention Aaron Taylor-Johnson mentioned attending Comic-Con in a previous interview. As most of you know he’ll be playing Quicksilver, or whatever it is Marvel Studios is allowed to call him. Why are you still reading this? Hurry! Get to the line! Instead of stopping off at Comic Con, the Doctor Who team are going to give all of their summer marketing efforts to a “world tour” the BBC are planning in August. The Doctor Who panel is where Rich and I saw each other during Comic Con. Now we’ll have to find another excuse. It’s interesting that BBC Worldwide are making so much effort with Doctor Who live events. I guess the 50th Con in London last year was enough of a money spinner that they want to stay in the game. Shuttle Bus Info Is Now Up! If you plan on making use the shuttle during Comic-Con you’ll be happy to know the page is up and ready for you to check out. The shuttle is free to use and once again will feature 24 hour service to 60 different stops! Just keep in mind that the 24 hour service doesn’t start until Thursday. It’ll only be running until Midnight on Preview Night. You can view the PDF of all the stops here! The Flash TV pilot for The CW has leaked, and is now available on torrent sites worldwide. It joins a proud history including Doctor Who, Heroes, Global Frequency, Wolverine, Hostel 2, Wonder Woman and Ellen DeGeneres’ personal screener of Walter Mitty. Apparently it is for promotional use only, not for review, resale or rental. So I’m not going to do any of those, simply… promote it.